We know your research is important. The discoveries you make today will make tomorrow better, for all of us. That is why we design products that keep you safe, protect your work, and ensure accuracy across a variety of disciplines. 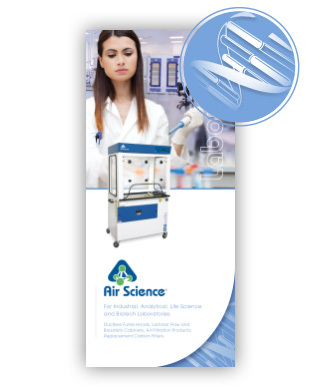 Our biological safety cabinets, ductless fume hoods, equipment enclosures, and laminar flow cabinets are built to deliver time-tested performance, low operating costs, and proven containment. Our units feature high quality construction in metal or polypropylene and meet numerous international standards.